Hitachi Zosen is a Japanese company with over 130 years of history and has a wide range of business domains; Environment/Green Energy and Social Infrastructure & Disaster Prevention. Hitachi Zosen group has designed, constructed and operated a number of municipal waste treatment plants combined with energy production all over the world. Hitachi Zosen has developed a pyrolysis system able to handle livestock slurry. This is based on a rotating kiln using the heat of the exhaust gases of the pyrolysis process. Therefore once it starts, the process is self-sustaining and requires no external energy input. This makes it cost effective and potentially attractive for treating large quantities of livestock slurry (around 100 000 tonnes/year). From livestock slurry rich in phosphorous, a biochar with agriculturally effective content of phosphorous is produced. Japan, like Europe, depends on imported phosphorous for phosphate fertilizer, and this has caused Hitachi Zosen to develop the pyrolysis process. A pilot plant has been operating in Japan and Hitachi Zosen sees the EU as a potential market for its pyrolysis systems. The company considers that the revision of the Fertiliser Regulation has the potential to open up a pan-European market for phosphorous-rich biochar and in turn demand for biochar production systems. Hitachi Zosen’s membership of ESPP will enable the company to take an active role in collective action on both the EU Fertilisers Regulation proposal and in other legislative areas, such as REACH registration. The INTERREG VB project, Phos4You (phosphorus recovery from municipal sewage in North West Europe), has just been approved and is now being launched. The project will include building demonstration P-recovery installations at sewage treatment sites, innovative P-recovery technologies, new recycled phosphorus products for fertilisers, working on a standard to assess recycled fertiliser quality and addressing social acceptance of recycled nutrient products. Phos4You will organise a launch event in Basel, 18-20 October 2017, in parallel to a first meeting of a Switzerland phosphorus recycling network and a European nutrient recycling Technology Fair and workshop of EU-funded and other R&D projects related to nutrient cycling. 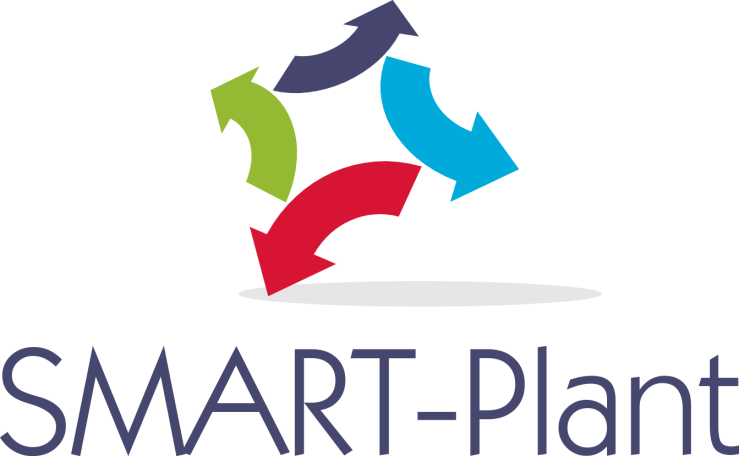 “Scale-up of low-carbon footprint MAterial Recovery Techniques in existing wastewater treatment PLANTs” (SMART-Plant) is an EU (Horizon2020) funded project, running from 2016 to 2020. The project consist of demonstration and optimisation of 7+2 pilot systems in operating five municipal waste water treatment plants in The Netherlands, the UK, Italy, Spain, Greece and Israel. The objective is to scale-up, in real sewage treatment environments, eco-innovative and energy-efficient solutions to renovate existing wastewater treatment plants and to close the circular value chain by applying low-carbon techniques to recover materials including PHA (polyhydroxyalkanoates), sludge plastics composites, bioenergy, nutrients and water reuse. Nutrients will be recovered, in different configurations, in the form of phosphorus rich compost or struvite. Technologies and systems will be automated to optimise resource recovery. The project includes Life Cycle Assessment and Life Cycle Costing as well as business, market deployment and new public-private partnership models. The Baltic Marine Environment Protection Commission - Helsinki Commission (HELCOM) engages nine contracting countries and the European Union. On 1st March 2017, HELCOM published “Recommendation 38/1” on “Sewage Sludge Handling” which specifies as its first point “maximum recycling or recovery of phosphorus and other useful substances and compounds” from sewage sludges. The HELCOM contracting parties must regularly report on the regulatory and other measures taken to implement HELCOM ‘Recommendations’ and on the effectiveness of these measures. The Recommendation on Sewage Sludge Handling further specifies that nutrient reuse or recycling should be considered in design or upgrading of sewage works, and that phosphorus should be recovered from ash if sludge is incinerated (as far as technically viable), or if not, then the sludge ash should be stored in separate landfill for later phosphorus recovery). The Recommendation specifies that sludge and sludge products should not be applied to land if the soil P and N content is sufficient for crop cultivation (i.e. land application should genuinely be useful recycling, not just disposal spreading). The “Reporting Format” included in the Recommendation requires signature countries to specify the percentage of total phosphorus recovered from waste water, sewage sludge and sludge ashes. The Recommendation indicates that all sewage sludge should be treated to reduce fermentability and health risks before use. It also addresses contaminants and pollutants in sewage sludges (including upstream reduction or treatment), nutrient leaching, specifies limits on sewage sludge application in agriculture (e.g. not in the year before harvest of fruit or vegetables, only with limits on permanent grassland) and mentions conditions for sludge use in forestry, green areas, landscaping. The European Commission has published a draft update of the Industrial Emissions Directive BAT BREF (Best Available Technology) reference document for the “Food, Drink and Milk Industries” (January 2017). The document states that nutrients must be removed in waste water treatment indicating BAT emission levels for discharge to surface water of 2-20 mg total nitrogen and 0.2-6 mg total phosphorus per litre. Are presented as BAT: biological nitrification-denitrification, ammonia stripping, enhanced biological phosphorus removal (EBPR), phosphorus removal by chemical precipitation, natural treatment in integrated constructed wetlands (ICW) and phosphorus recovery as struvite. The current draft document suggests that struvite precipitation is usually carried out in a stirred reactor after anaerobic digestion of waste water, and indicates that the struvite can be valorised as a fertiliser with advantages of lower sludge treatment and disposal costs. The official European standards body, CEN, has been mandated by the European Commission to map existing standards and identify future standards needs relevant to sustainable chemicals in the circular economy (CEN/CLC/BT/JWG 11, led by NEN Netherlands). ESPP is participating in this working group. This work will take into account the mapping of standards for fertiliser product analysis carried out by the Commission to accompany the EU Fertiliser Regulation revision. Aspects addressed by CEN will include feedstocks, recycled and sustainable chemicals, labelling and recycling. At the first working group, 13th March, ESPP underlined the importance of questions around quality, safety, contaminants and supply reliability of secondary raw materials and recycled chemicals. Your input is important both to define priority areas for standards development, and to identify specific points where new standards are today needed for recycled chemicals (e.g. testing methods). Please send comments or input to ESPP. Quebec legislation will ban from 2022 both landfilling and incineration of all organic wastes, including sewage sludges, sorted municipal food waste, green wastes, paper industry sludges, etc. The objective is to develop a circular economy from these organic materials. This is part of an overall programme aiming to reduce final waste production in Quebec. A 650 million CAD$ investment programme will support methanisation or composting of organic wastes, then valorisation of the organics as soil improvers. The 2011 legislation also states that the Quebec Government will intervene to ensure that sludge spreading is authorised when health and environmental safety conditions are ensured and where it is beneficial to crops, and to encourage new uses and markets for composts and digestates. The application of this legislation will open important opportunities for nutrient recycling, through agricultural use of composts and digestates, or through technical nutrient recovery. At the annual Forum for the Future of Agriculture (FFA2017), Brussels, 28th March, Dame Ellen MacArthur launched a new initiative “Urban biocycles”. A joint Project Mainstream between the Ellen MacArthur Foundation and the World Economic Forum (WEF). The project aims to identify opportunities and systemic solutions to transform urban biowaste flows, in particular sewage and food waste, into a source of value by recovering and recycling energy, organic carbon, nutrients and materials. This will engage global leaders, both major companies (food industry, water and waste sector, chemicals, technologies), public decision makers, scientists and stakeholders. It is identified that “Cities aggregate biological materials and nutrients from rural areas but return few of them to the agricultural system”, resulting in rural soil degradation and reliance on synthetic fertilisers. Negative impacts of nutrient loss and untreated biowastes include eutrophication dead zones (240 000 km2 worldwide – an area this size of the UK), planetary boundaries and climate change. Farmers, traders, wholesalers, food manufacturing companies and retailers make up the world’s biggest economic sector and around 17% of global GDP. Global biomass harvest is around 13 billion tonnes/year, of which over 80% is for food. Cities worldwide produce around 0.7 billion tonnes of solid organic waste per year, expected to double by 2025. In OECD countries, less than 40% of this is valorised (biogas, compost). Most of the phosphorus, nitrogen and potassium in the world’s sewage is today lost not recycled. Economic opportunities of restoring a circular economy for urban biowastes and closing nutrient loops are therefore considerable. Cases of resource recovery from biowastes already operation today are cited, including Veolia’s Water Organics Recycling, Suez Phosphogreen, Ostara Pearl struvite recovery, Suez Ametyst anaerobic digestion plant Montpellier France and Véolia’s Artois anaerobic digestion plant France. 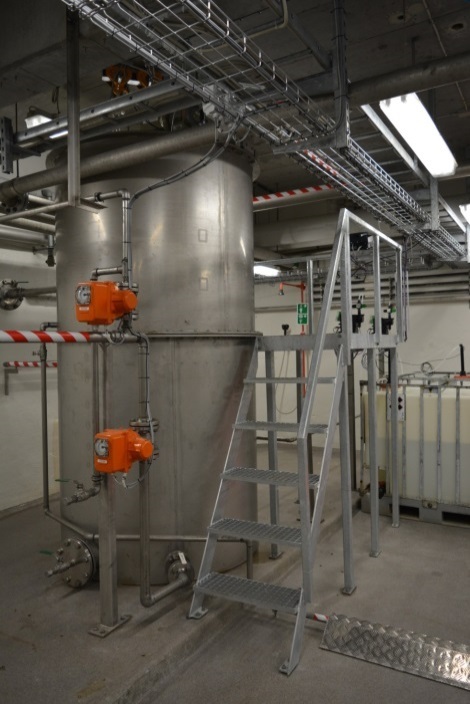 AquaStrategy presents experience of Veolia’s Struvia struvite P-recovery process, with a detailed interview of Erik Bundgaard, technology director at Krüger, a Veolia company. After successful pilot demonstration trials at several municipal sites such as the Brussels North, Belgium, and Braunschweig, Germany, as well as at industrial sites, a first full-scale Struvia installation was commissioned in 2016 at Helsingor sewage works, Denmark. The Struvia process combines a Turbomix reactor with a lamellar settler, then bag-draining of the struvite prills. The Struvia unit is compact, with a small footprint and in Helsingor is installed in a basement only 3.5m high. Installation of the struvite process has enabled the sewage works to move to completely biological phosphorus removal, with no iron dosing. Helsingor serves around 70 000 p.e. and the struvite unit treats 60 m3/day, that is 100% of the work’s digestate centrate, and produces around 36 tonnes of struvite per year. This demonstrates Veolia’s objective to deliver struvite P-recovery technology to small – medium sewage works. The product is pure struvite, with small prill size. It may be used directly in agriculture or be further processed by the fertilizer industry or distributors before use. Severn Trent Water, UK, has selected Bluewater Bio’s FilterClear high-rate multi-media filtration technology to achieve a tightened phosphorus discharge consent of 0.5 mgPtotal/l fixed for its Codsall municipal sewage works (Staffordshire) in application of the EU Water Framework Directive. The installation will treat up to nearly 7 000 m3/day. FilterClear is also being tested at Yorkshire Water’s Bolsover sewage works, with an objective phosphorus discharge of 0.1 mgPtotal/l. FilterClear is a sealed and pressurised filtration system which integrates flocculation (avoiding the need for upstream flocculant mixing) and then four stratified filtration media (anthracite, silica, alumina, magnetite) with particle size down to 0.35 mm. 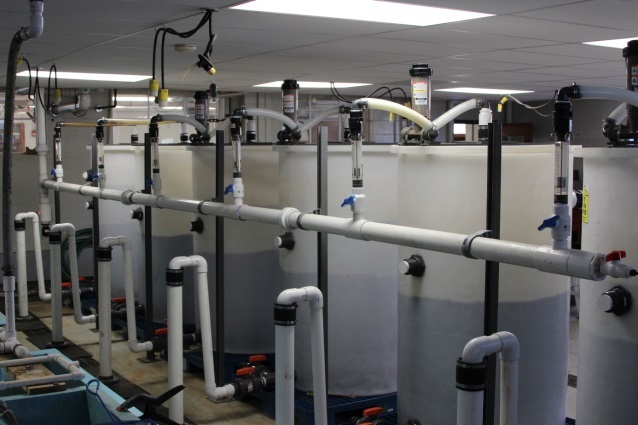 The combination of negative and positive media charges enable removal of >75% of suspended solids by both filtration and surface adsorption. Trials of the technology at Anglian Water’s Cambridge UK sewage works showed 80% removal of suspended solids down to an average of 3 mgTSS/l. Some 50 FilterClear installations are already operational for treatment of wastewaters, cooling waters, reverse osmosis pre-treatment, pharmaceutical industry, food and beverage processing, distilleries. The International Water Association (IWA) and Watershare call for the 2nd Best Practice Award for water resource recovery is open to 30th April 2017. Selection criteria are: innovation, replication potential, stakeholder and value chain cooperation and business case. The Award winner will benefit from promotion in IWA’s media and the IWA Resource Recovery Conference (New York, 5-9 August). The winner of the 1st Award in 2015 was Reststoffenunie (now Aqua Minerals) with Waternet, Ardagh Glass and Desso, The Netherlands, for recovery of calcium carbonate pellets from drinking water softening. The Baltic Sea Action Group (BSAG) is “Nutrient Recycling Ecosystem” coordinator for the TEKES / Team Finland (national R&D funding agency) BioNets programme, which aims to generate Finland’s bio- and circular economy. BioNets provides funding for pilot projects and networking, coaching, market studies and promotion new technologies and company innovations. In TEKES case examples 2017, BSAG states that nutrients are currently inefficiently used in agriculture, leading to phosphorus and nitrogen losses to the Baltic, and considers that nutrient recycling could both resolve Finland’s dependency on nutrient imports and help restore the ecology of the Baltic Sea. BSAG’s objective is that solutions developed in the Baltic region can be exported globally to many other eutrophication impacted regions of the world. A paper by Julia Kopp et al. (WEF Conference 2016) assesses how struvite precipitation phosphorus recovery, thermal hydrolysis process (THP) and thermo-chemical hydrolysis process (TCHP) impact sewage sludge dewatering and polymer consumption (dewatering additives). The paper is based on literature data and laboratory experiments applying these three treatments. Measurement of the free water content DS(A) was used to determine dewatering results after anaerobically digested sludge from over 20 different sewage works operating biological phosphorus removal. Literature data suggest that dewaterability is related to the content of EPS (exopolysaccharides) and proteins, which are influenced by sludge age and the blend of primary sludge and WAS (waste activated sludge). Conclusions from the experimental work are that struvite precipitation by air stripping and magnesium chloride dosing improves dewatering by nearly 5%. The best results were by combining TCHP with struvite precipitation, resulting in a 10% improvement in dewatering as well as lower polymer consumption. 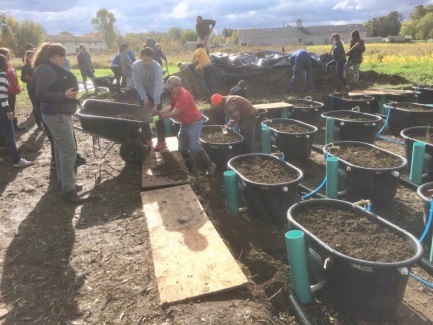 WSU (Washington State University) has obtained a 460 000 US$ grant from the USDA (federal Department of Agriculture) for the project “Mobile System for Nutrient (Phosphorus) Recovery and Cost Efficient Nutrient Transport”, developed with Multiform Harvest (see SCOPE Newsletter n° 109). WSU will demonstrate their mobile struvite phosphorus recovery unit at commercial dairies, with Dairy Farmers of Washington (DFW), and establish recycling links with forage crop growers who can use the recovered struvite. This funding is within the USDA Conservation Innovation Grants (CIG). Previous CIG grants include phosphorus recycling from chicken litter through use of ash as fertiliser 2011, vermiculture treatment of pig manure for recycling 2009, manure nutrient use Delaware 2009, nutrient trading Vermont 2012, and a range of projects on nutrient pollution mitigation, optimisation of nutrient use, manure treatment. The George Barley Water Prize (Everglades Foundation) has named its first winner as WETSUS Netherlands, with the NaFRAd project (Natural Flocculation Reversible Adsorption). 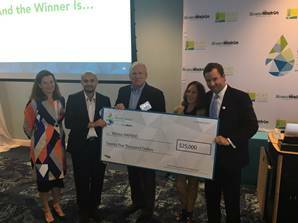 WETSUS (European Centre of Excellence for Sustainable Water Technology) takes home the US$ 25 000 prize for the Prize Stage 1. After winning Stage 1, the Wetsus team is now preparing its submission for the second stage which requires testing and demonstrating at the laboratory lab scale. Stage 2 of the Prize is open to organisations worldwide, whether or not they participated in Stage 1. Deadline: 15th July 2017, see below. The WETSUS NaFRAd technology proposes a combination of flocculation with natural flocculants and reversible adsorption with high capacity iron based adsorbents. This can remove both particulate and soluble phosphorus with minimal waste generation. The phosphorus can be recovered as calcium phosphate for use in the fertiliser industry. These technologies reflect the WETSUS research themes Phosphate Recovery and Natural Flocculants. WETSUS is a partner of the European Sustainable Phosphorus Platform, and has for example developed with ESPP a regularly updated listing of publications providing overviews and comparisons of phosphorus recovery technologies (www.phosphorusplatform.eu > Activities > P-recovery Technology Inventory). WETSUS also regularly provides articles for ESPP’s SCOPE Newsletter reviewing scientific publications on phosphorus recycling technologies. Photo: March 22, West Palm Beach, Florida: George Barley Water Prize Stage 1 winner WETSUS, represented by Prasanth Kumar, with Nathalie Olijslager-Jaarsma, Consul General of the Netherlands,, Jim King, Scotts Miracle Gro, Mary Barley, Board Member of the Everglades Foundation and Eric Eikenberg, CEO of the Everglades Foundation. Stage 2 of the Prize is currently open for applications from teams capable of testing their solution for two consecutive weeks processing c. 24 litres/hour (see exact specifications in application materials). Applicants will submit daily inflow and outflow samples from their technology. A total of $80,000 will be awarded in November of this year to the top 3 teams in Stage 2. Applicants to Stage 2 need not have applied to Stage 1. The deadline to request Stage 2 application materials is 15 July 2017 and the deadline to submit applications is 31 August 2017. The Pilot Stage, the third stage of the George Barley Water Prize, will qualify 10 teams to compete at a Pilot location in Canada in early 2018, with awards totalling $800,000. Finally, the Grand Prize will see the top 4 teams compete in Florida for the ultimate $10 million award. Stage 1 of the George Barley Water Prize is the first milestone of the 4-year prize which will reward with US$ 10 million the most cost-effective, scalable technology that thoroughly removes and recovers phosphorus from freshwater bodies. Over 75 applicants from all over the globe submitted proposals to Stage 1 (from a total of 181 initial entries). Entries came primarily from the United States, but also from Canada, India, Belgium, Germany, Australia, China, Japan, Indonesia, Netherlands, Ireland, Sweden and Israel. The prize nominated 15 finalists for Stage 1, and these are summarised below. Wetsus NaFRAd (Natural Flocculation Reversible Adsorption) – winner of Stage 1of the Prize - particulate phosphorus is captured by biodegradable bioflocculants, soluble phosphorus is captured in an adsorbent bed which can be regenerated using calcium hydroxide for recovery of calcium phosphate. Adsorption is part of the WETSUS Phosphate Recovery theme with participation of Delft University of Technology, STOWA, ICL Fertilizers, KEMIRA, Green Water Solution, water authority Brabantse Delta and Oosterhof Holman. Natural flocculants are being developed in the WETSUS Natural Flocculants theme with participation of Wageningen University Research, Pentair and Shell Global Solutions. See on YouTube and www.wetsus.nl/phosphate-recovery Contact See photo. AquaCal AgBag –uses “biogenic oolitic aragonite”, which means a form of calcium carbonate in spherical grains produced by biological processes (this is not clarified). It is claimed that “adding aragonite into animal and plant nutrition … will mitigate the very generation of phosphorus by livestock and farming activities”. Clarifications have been requested by ESPP, because we do not understand how adding calcium carbonate can have the result that phosphorus going into one end of animals does not come out the other end (phosphorus present in animal feed comes out in manures except for the non significant and essentially non variable amount stocked in bones etc). The answer we received from the company was that this is currently undergoing testing. It is also proposed to install different types of filter bags of aragonite in field drainage or storm water collection to adsorb phosphate. It is indicated that the phosphorus-enriched calcium carbonate can then be used as a fertiliser or soil improver. AquaFiber Technologies AquaLutionsTM process – lake water is pumped through a patented unit at the heart of which is a dissolved air flotation unit modified to maximize its efficiency to harvest the smallest algal cells from the lake water. The system also includes gravity pre-separation and biological polishing. Clear, clean and oxygenated water is returned to the source and blue-green algae are removed. The harvested biomass can be used to produce an organic fertiliser or converted to energy. 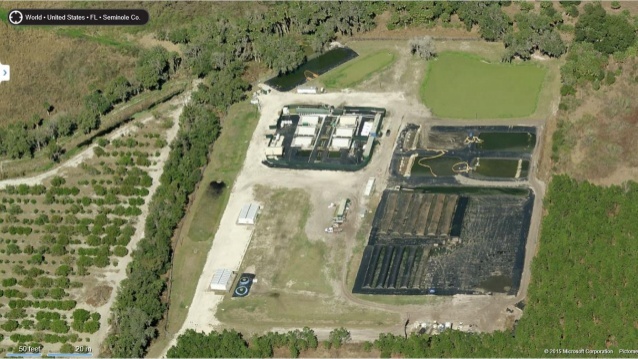 A 14 million litres/day, 0.4 ha footprint (of which 7% for the treatment installation) site has already been tested successfully at Lake Jesup, Florida, 2009-2014. The technology is ready for roll-out and the company offers a “pay for performance” business model. www.aquafiber.com See photo. Wetlaculture (Mitsch) – landscape-scale and mesocosm-scale models integrating wetlands for phosphorus retention with agriculture. Retained phosphorus in the wetlands is directly recycled as fertiliser to crops appropriate for temperate or subtropical region. See photo. 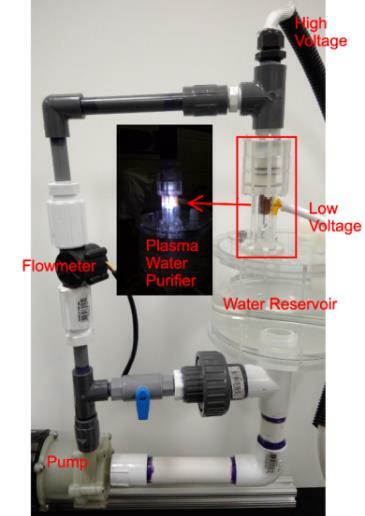 Plasma Water Reactor – University of Michigan – plasma injection into water is indicated as having the following effects: changing water chemistry (oxidation states, pH) so initiating precipitation of ions such as phosphates; electrical enhancement of coagulation; generation of ozone, UV … which break down organics. 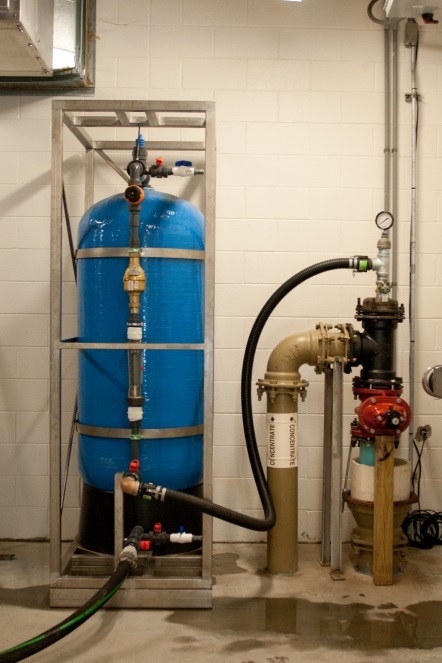 Waterloo Biofilter EC-P System – low-energy electrochemistry releases ferrous iron into septic systems or ditch water to remove phosphorus as inert, crystalline iron phosphate minerals (vivianite). This is similar to the use of iron salts for phosphorus removal in sewage works worldwide, but without P-rich sludge production. The process can be modified to recover iron phosphate crystals which are proposed for use as a fertilising soil amendment. www.waterloo-biofilter.com Contact See photos. FIU ROAR (Florida International University) - submission from Everglades region presenting a “holistic approach”. Little technical information. Iron coated fibres used for P-removal – not defined how to dispose of or recycle these fibres after phosphorus uptake. Team blueXgreen - University of Idaho – reactive filtration using iron salts, biochar (from agriculture or forestry greenwaste) and ozone. Two first generations of the technology (ferrous iron and ozone) are operating commercially (Nexom/Blue Water Technologies) with installations up to >50 million litres/day, and are participating in the UK-WIR-CIP2 trials (see ESPP eNEWS n°7). The third generation reactive filtration technology (at pilot stage, see photo) adds biochar as a catalyst and phosphorus adsorbant. This can be recycled as a slow release phosphorus fertiliser which sequesters CO2. Photo: University of Idaho N-E-W Tech™ process research trailer. See https://www.youtube.com/watch?v=xI22R6vzVdw Contact See photo. US Geological Survey (USGS Leetown) –adsorption using mine waste ochre (iron oxide based) with regeneration of the ochre using sodium hydroxide, and then precipitation of calcium phosphate for recycling. See details in “Removal of phosphorus from agricultural wastewaters using adsorption media prepared from acid mine drainage sludge,” Sibrell, et al., 2009, http://dx.doi.org/10.1016/j.watres.2009.02.010 and “Fixed bed sorption of phosphorus from wastewater using iron oxide-based media derived from acid mine drainage” Sibrell and Tucker 2013 http://dx.doi.org/10.1007/s11270-012-1262-x Contact See photo. With a focus on "Water in the circular economy – innovations for urban water treatment"